An entrance to entrance for the Wicked Stepmom. 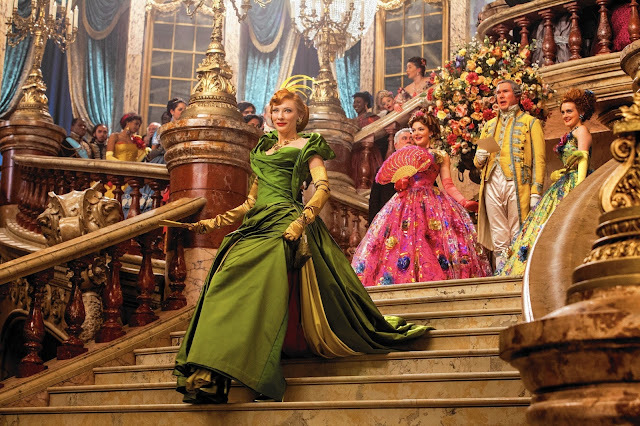 Everyone's favorite tufthunter, Lady Tremaine, clawed her way to the cinemas this year with the live-action version of Disney's "Cinderella." Cate Blanchett was a casting coup for the character, given that she had practically played a fairytale villainess before. With the help of acclaimed costumer Sandy Powell, Cate Blanchett portrayed the quintessential Wicked Stepmother in an array of outfits that would make both Joan Crawford and Queen Victoria seethe with jealousy. 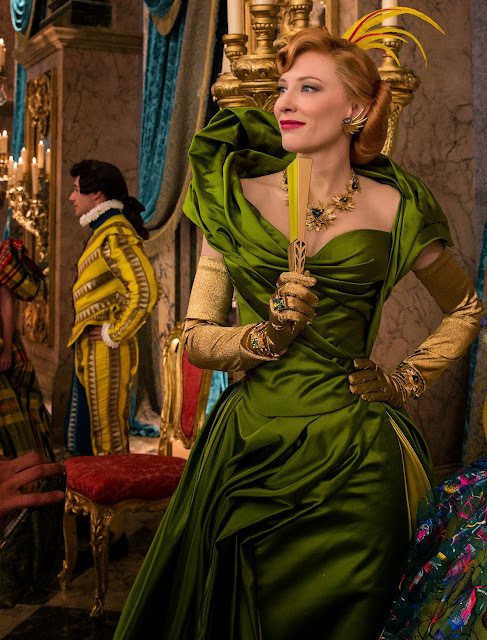 Instead of following the Halloween herd by slipping on The Dress, why not vaunt some hard-won class by going as Cate's version of Madam Tremaine? 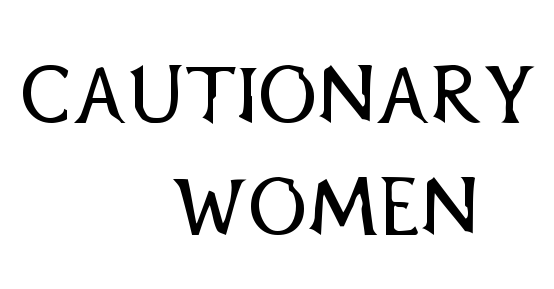 If you think every eligible maiden wants to be Cinderella on All Hallows' Eve, think again. If you get the sense that the movie's costumes are a little bit anachronistic, it's because they are supposed to be. Sandy purposely designed the costumes to look like a 1940s movie about the 19th century. Her overall vision for Lady Tremaine is a shotgun marriage between Christian Dior's New Look and Victorian elegance. It's kinda retro-futuristic, in that sense — if the future were the Golden Age of Hollywood, that is. 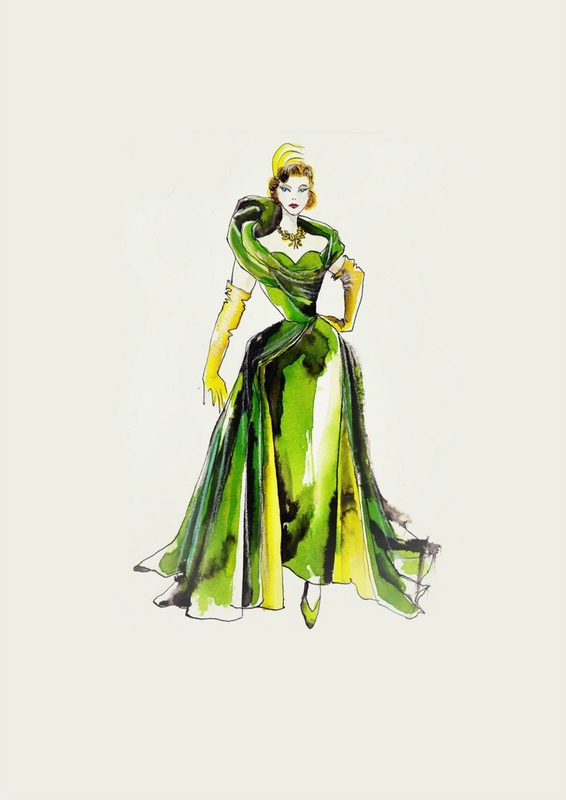 While the animated Mrs. Tremaine preferred red, this version is all about putting the mean in green, in keeping with the character's inner green-eyed monster. "If you’re wearing green, you don’t have to act the jealousy because the costumes in a way visually are doing it for you," Cate told EW. To get Cate's showstopping ballgown, get ready to mine a lot of citron green fabrics, and give your seamstress this sketch, stat. Also, with a gown as long as this, you can get away with any decent pair of shoes, so don't stress too much about them like Fairy Godmother. You're much more of a goddess than that. Redheads, rejoice! Green dresses look good on red hair. But because we are animal-friendly folks, spare the poor birds their feathers — and bring a plush toy instead of a live cat on a leash as Lucifer. Eyes on the prize, which is perfecting your 40s-style updo. You may not achieve this by your lonesome, as evidenced by this Gallic tutorial. So you better boss around a hairstylist or a friend, if you're not too savvy about your locks. After you get your hair did, it's time for some bibbidi bobbidi boo on your mug. As usual, we rely on our beautiful stepsisters of makeup magic on YouTube. We may not have Cate's bone structure but that shouldn't stop us from being the life of the party. Lady Tremaine certainly made the most of what she had in more ways than one, starting with blowing up her daughters' market value, of course. So step to the beat like Stepmother, and work the room like the badass social climber that you are.